I just can't get excited about betting totals. Don't really care about it. Which is not at all the best thing to say at the beginning of an article where I make Super Bowl totals predictions. I think the issue for me is that I find it far more interesting to think about who will win the game and why than by how much. And once the game starts I find thinking about the totals just a distraction - especially if the game is close and I have taken the under, so I am forced to cheer for no more scoring when more scoring would just mean more drama and excitement. But I look at it this way - my general detachment from totals means that I can approach the Super Bowl from a place without emotional investment, so this will be an untainted view of what could happen. So, without further ado, let's look at what I think is going to happen and why. First, the numbers. The total has been remarkably, boringly stable so far this year. It opened at 48 in most spots, and within a half point of that on either side everywhere else. And, through a week and a half of betting it still widely sits at 48 . At both BetOnline and Bovada the "under" is at -115 compared to -105 for the "over" (Bovada is one of the few books that has the total at 48.5 as I write this), so if we are going to see any movement at all it will be, barring significant new action, slightly downward and not particularly significant. The number of 47 is a more common total in games than 48, so a move to 47.5 would not shake the world on its axis or anything. And now the snapshot of these teams. 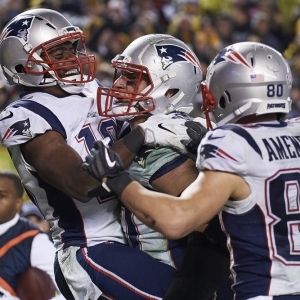 In the regular season the Patriots went under the total in nine of 17 games, including four of their last five. In the playoffs they went over by just half a point against the Titans - the total was 48.5, and the teams combined for 49 (Incidentally, this is a good example of why I don't love totals - the score that sent the game over was a very late Tennessee touchdown that was completely meaningless because the game was long since over and no one on either team cared anymore). And then they bounced back and went comfortably under against the Jaguars - and would have been under even if Jacksonville had managed to kick the field goal they should have kicked. So, in all the under has gone 10-8 all year, which is only slightly better than break-even, but it has gone 5-2 since the start of December. Philadelphia, meanwhile, has been perfectly mediocre for totals bettors - 8-8 during the regular season and 1-1 in the postseason. And when they go under they go way under - the last three have gone under the total by 17, 35 and 15. And in the four complete games Nick Foles has played (he took over halfway through a game from Carson Wentz and played very limited minutes in the season finale) his totals record is 2-2 as well. New England will be messing with Foles: The big mistake the Vikings made against the Eagles was that they let Foles be comfortable. The Falcons didn't, and as a result the two teams saw very different quarterbacks. The Patriots don't have the best defense in the world, but they are very good structurally at picking on a particular vulnerability and attacking it relentlessly. They want to make opponents one dimensional, and they are very good at doing that - especially in the second half of games. We saw peak Foles last time out against Minnesota, but I expect to see well below that in the big game. New England hasn't been jumping out of the gate: The first quarter against the Titans was offensively anemic. The first half against the Jaguars was a dog's breakfast. And that hasn't been rare - Tom Brady has twice as many second-quarter touchdowns as he does in the first quarter this year. It's like at his age it takes a while to warm up. If he's only going to be sharp for three quarters at best then the under gets more attractive. Running will be more of a factor than it could be: Both of these teams are respectable on the ground, though neither rely on it. It will, for different reasons, likely be of the best interest of both teams to establish the run in this one. By getting Jay Ajayi going early the team can deflect attention from Foles and hopefully give him room to move. And by establishing Dion Lewis the Patriots can control the pace of the game and open things up for Brady's receivers. The more teams run the slower the game goes and the less teams score. Experience: I keep coming back to this - the Eagles are largely in new territory. Seven guys have played in the game, and the coaching is new to this scenario in general and very new as coaches. And they are against the most experienced, more ruthless staff in the league - and perhaps ever assembled. I don't expect the Eagles to be at their loosest as a result - especially early - and that will have a downward impact on the score.